Red Bow Christmas PSD Background - Free Photoshop Brushes at Brusheezy! Give the gift of good design this season with this new Red Bow Christmas PSD Background! This Christmas PSD background is designed with Christmas ornaments hanging from the most festive bow and a snowflake border. 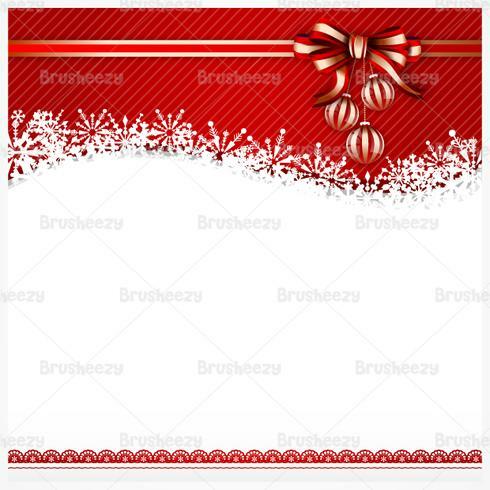 Enter your own holiday text and message on this Christmas PSD background and then check out the <a href="http://www.vecteezy.com/holiday-seasonal/59444-red-bow-christmas-vector-background/premium">Red Bow Christmas Vector</a> over on Vecteezy!